160 cars can drive side by side on the Monumental Axis in Brazil. 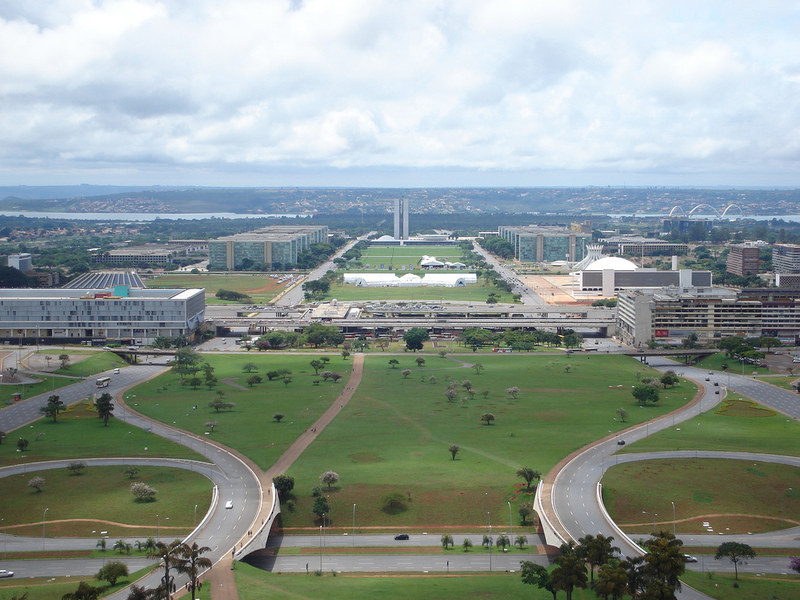 The Monumental Axis (“Eixo Monumental” in Portuguese) is a central avenue inBrasília’s city design. The avenue begins on the National Congress of Brazil building and is considered part of the DF-002 road. Its first section is known as “Ministries Esplanade” (“Esplanada dos Ministérios”), as it is surrounded by ministries buildings. Many important government buildings, monuments and memorials are located on the Monumental Axis. A common urban legend persists that the Monumental Axis is the widest road in the world, where ” cars can drive side by side”. This is untrue, as the road consists of two avenues with six lanes on either side; a total of twelve lanes. However, it was in the Guinness Book of Records as having the widest median (central reservation) of a divided highway (dual carriageway) in the world. Previous article Chefs in China make Urine Boiled Eggs. Next article Nokia Has Invented Tattoos That Vibrate When Your Cell Phone Rings. Chefs in China make Urine Boiled Eggs. Nokia Has Invented Tattoos That Vibrate When Your Cell Phone Rings.